Most people are aware that there is a link between a person’s genetics and their ability to build muscle. Usually, if your body is not build in a certain way, it is going to be slightly more difficult to gain muscle mass quickly, just as some people will find it very difficult to keep muscle mass off if they are training to be light and lean for running or other sports. However, genetics is not a good excuse to not even try to gain muscle. Although not everyone is going to be the next Mr. or Miss Universe, you can always gain more muscle than you currently have, particularly if you are starting from nothing. Knowing what links there are between body building and genetics is important, of course, and it is essential to know your limits and to listen to your body. But never assume that there is nothing to be gained just because you are not so genetically indisposed to growing muscle: there are always positive outcomes to working out. We all know the people who attribute their great runner’s or swimmer’s bodies on genetics, and, whilst it is true that people with bigger hands and wider shoulders will tend to be better at swimming than the average person, it simply is not true that it is all down to genetics. The people who train hard every day are the ones who are more likely to reach their goals. You can easily be born with the perfect body for sprinting or for long distance running, but if you never go out to train, you are never going to be very good at it. For this reason, do not pay and heed to those who say that they are just ‘naturally very muscular’ – it will only deter you and, the chances are, they spend many hours in the gym when you are not looking in order to maintain their physique. This is not a competition and you should not let your genetics get in the way of what you hope to achieve. If you find that, during training, it is a lot easier to build mass on your thighs or on your biceps, do not just exclusively train those parts. Even though it may be a lot harder to gain mass on your calves (which, actually, is one of the hardest places to gain mass for absolutely everyone, so you are not alone), you still need to work out those muscles in order to maintain them. If you start to ignore parts of your body that are more difficult to train, you will start running into a lot of problems. Not to mention the problem of looking slightly strange if you exclusively train the top of your body to the detriment of your legs: no one enjoys the look of someone who has skipped leg day too many times! Knowing your natural and inherent weaknesses is the first step to designing and following a better workout routine. If you are aware of your body’s physical limitations, you can create a workout that focuses not only on helping to build the muscle that you find slightly easier to build, but that also focuses on keeping other parts of you strong and healthy. This is where it is absolutely essential that you listen to your body and understand your genetic limitations as well as the things your body was designed to do. Having prioritized training can help you to focus on putting that little bit more effort into the parts of training that do not necessarily come easiest to you. However, ensuring that you do these parts in training and do not just skip over them will make it a lot easier to start seeing results. And you may find that the results are surprising. What are ‘good’ genetics for body building? No one is born ready for body building, per se. There is certainly no one body type that lends itself perfectly to building muscle and losing fat. To a certain extent, therefore, this means that most people should find it relatively easy to gain at least a little bit of muscle and keep the fat at bay. However, there are a few key aspects that factor in to bodybuilding and that separate the good from the bad. Those who naturally have faster metabolisms, solid bone structure and longer muscles in their stomachs tend to see results quicker and easier than those who do not. This does not mean that, if you only have two or one of these things that you are never going to see great results, but it does mean that, if you have none of these things, it is unlikely that you will ever be a professional body builder. However, science has shown that anyone can gain muscle by simply working out in the right way and eating healthily, so do not despair! 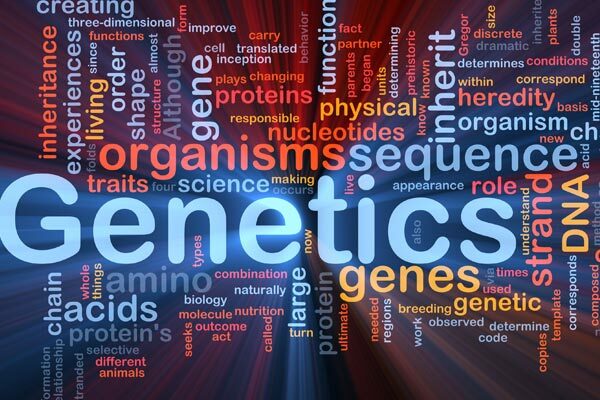 Whereas you cannot simply change your genetics, no matter how much you may want, there is a certain extent to which mentality plays a role in your workout. If you have never before found it easy to gain mass in a certain area or in general, you may feel disheartened about it, which has led to you giving up even trying. By enforcing prioritized training, you are ensuring that you are concentrating on those areas that you never usually focus on, which means that they will be getting a lot more attention than usual. This can mean that the results, although relatively small compared to the results for your upper body, for instance, can be surprising and can make a huge difference. This is one of the reasons why it is absolutely so important not to give up just because of your genetics: it certainly is not the end of the world and a good workout routine and diet plan can actually make it possible to achieve your goals. Does Building Muscles Destroy Femininity? This is another solid article with a lot of good points. 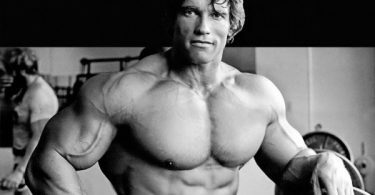 It’s funny, most people I know don’t want to look like Arnold Schwarzenegger (at least when they first start working out), but, over time, people start to raise their expectations even though they already look pretty great compared to the average person. Don’t be that guy who’s always struggling in the gym to put on another five or ten pounds of muscle when he’s already 210lbs at 8% bodyfat. Almost no one is going to notice besides you anyway. Prioritized training, though, can definitely help the average person bring up their weak points and look aesthetic, which is really everyone’s goal in the first place. I used to say that I simply had chubby genes. Not fat genes, per se, but chubby genes. When it all came down to it, it wasn’t my genes. It was me looking for an excuse. Once I quit making excuses and started hitting up the gym on a regular basis, I started to see results. It’s all about motivation, consistency and not giving up!